Creatively combining technology and technique. 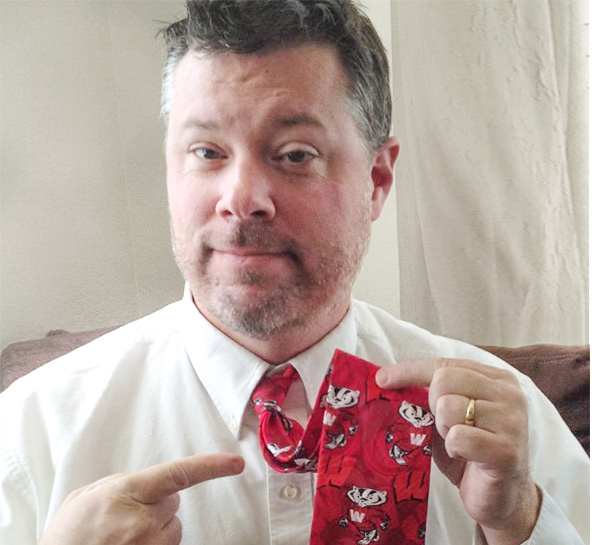 Likely everyone’s favorite teacher, Bob began his career as a math teacher after studying at the University of Wisconsin-Madison (hence, that red tie). He spent six years as a junior high and high school math teacher. Several classes later, he found himself with a degree in Multimedia Design and a new career. Bob has been working in the web design/programming industry since 1999. Working with Mike Melia, he programmed sites for National Geographic Magazine, National Geographic Channel, and Smithsonian Folkways. Working with Cooperworks Bob has developed all of our websites and was key in the development of our LookBooks—microsites that provide clients with more interactive, editorial-styled content and design. As a developer, Bob thoroughly understands that technology doesn’t just make digital function, but that the real end game is communication. Clients love to work with him for his grounded, good-humored attitude and his willingness to forge ahead with the next idea and a new solution.